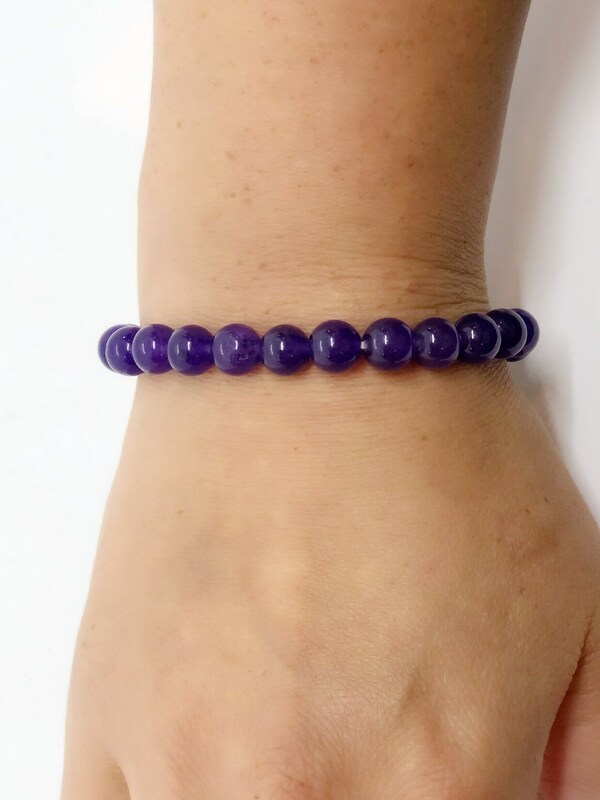 Genuine amethyst crystal bracelet. 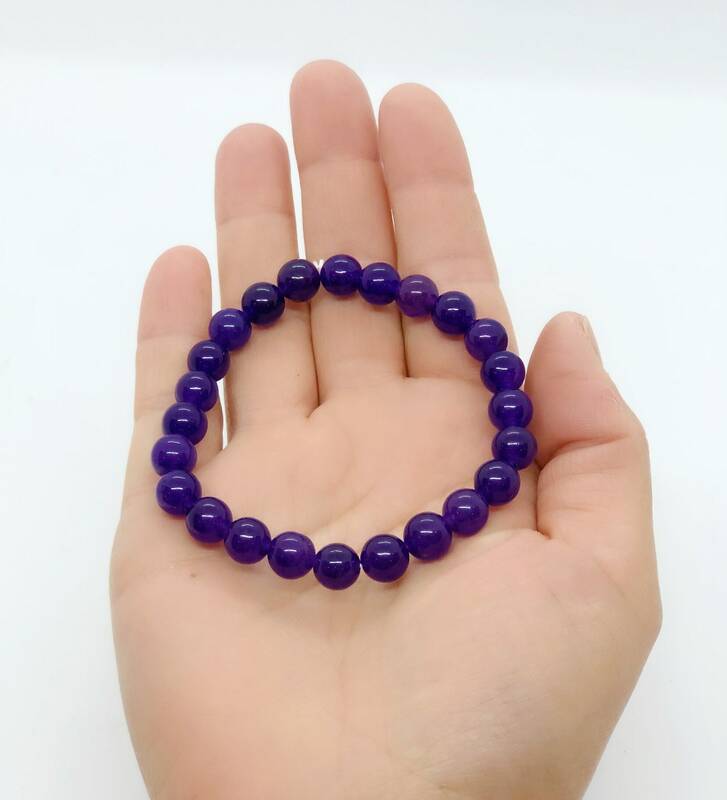 This bracelet is made with 24 8mm genuine crystal beads. 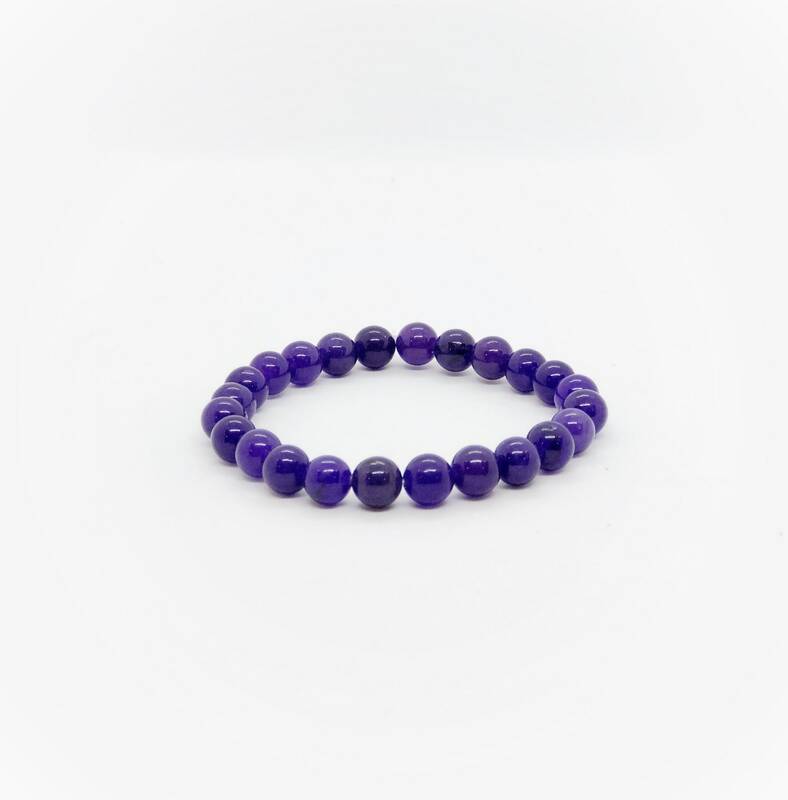 Heavy duty elastic allows this bracelet to comfortably fit a wide range of wrist sizes. The jewelry is beautiful, great attention to detail! It looks and feels like a very expensive jewelry, not some cheap one! It is also unique! The colors are amazing as is the craftsmanship! Great seller and super fast delivery. Highly recommended!